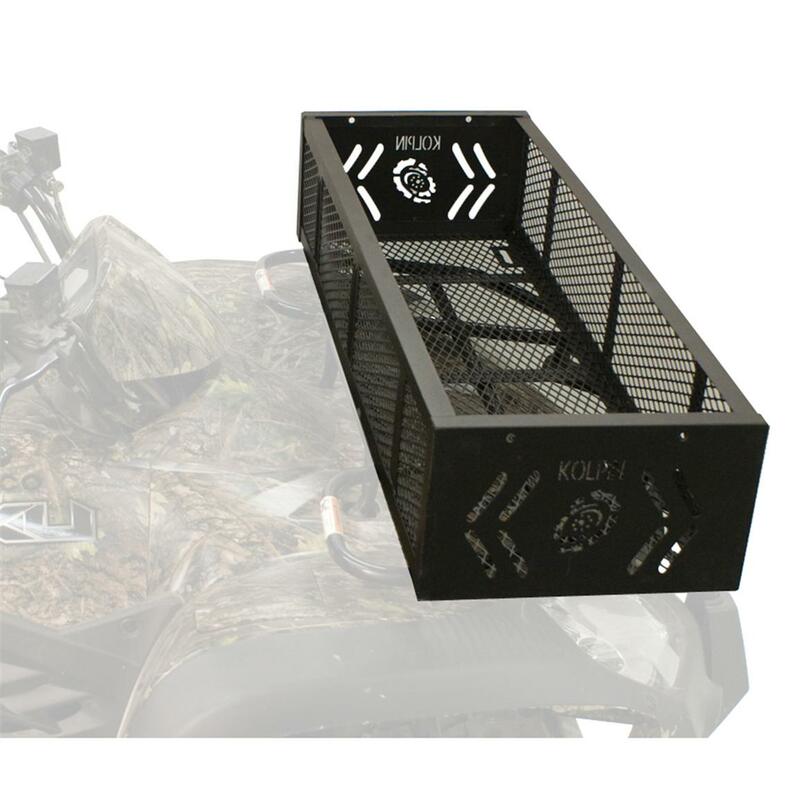 Kolpin® Polaris® Front Gear Basket. One very versatile and functional basket! Easily add extra front or rear storage to your ATV and transport up to three 5 gallon buckets, tools, and more! This is one tough Basket... the one-piece, welded expanded metal design can handle any task and any terrain. Universal fit to any front or rear tubular rack. Perfect for use on the trail, farm, ice fishing, or just about anywhere! Dimensions: 38"l. x 13"w. x 7 1/2" h. weight 16 lbs. Kolpin Polaris Front Gear Basket is rated 5.0 out of 5 by 1. Rated 5 out of 5 by CajunProud from Typical Kolpin HIGH Quality product Kolpin products never disappoint! Never! Perfect fit for my Honda Foreman. Front Basket is 36" x 17" x 5.25”h. Rear Basket is 40.75" x 29.5" x 5.25”h. Don't sacrifice flat rack space. Organization and protection for your gear. Bedrails keep gear on board.